The Andaman Islands consist of more than 500 islands in the Bay of Bengal. 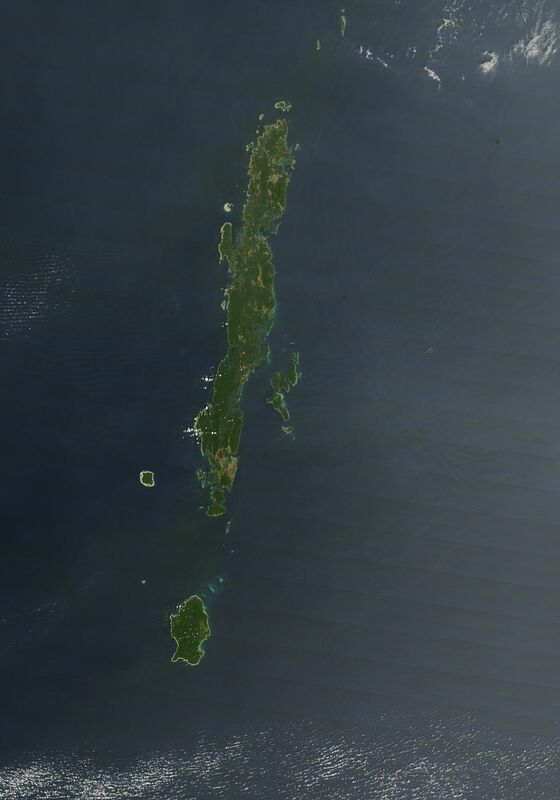 The largest islands comprise Great Andaman, easily seen from space. Not only can the islands themselves be seen from space, but something about them can also be discerned by satellites, something that has shed light on one of the largest earthquakes in recorded history. On December 26, 2004, a massive earthquake struck not far from Sumatra, Indonesia, claiming more than 200,000 lives. Satellite observations of the Andaman Islands collected before and after the disaster showed that the earthquake caused some islands to sink and others to rise. Satellite observations and field measurements helped researchers map the extent of the rupture caused by the earthquake. On February 10, 2007, the Moderate Resolution Imaging Spectroradiometer (MODIS) on NASA’s Terra satellite captured this image of the Andaman Islands. 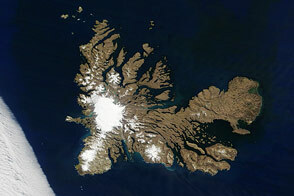 To the west of the main island group is North Sentinel Island, marked by a conspicuous coastline. The brightness of the coastline is no quirk in the satellite observations; the Sumatra-Andaman earthquake lifted this island, exposing the surrounding coral reef that had previously been submerged. To assess the precise amount of uplift, researchers relied primarily on a different satellite sensor: NASA’s Advanced Spaceborne Thermal Emission and Reflection Radiometer (ASTER). ASTER observes smaller areas of the globe each day than MODIS, but it sees those areas in more detail. Close examination of ASTER imagery—paired with field measurements—helped researches gauge the extent of uplift and subsidence (sinking) in the Andaman Islands and other island chains in the region. To learn more about how satellites helped scientists understand the Sumatra-Andaman earthquake, read the Earth Observatory Feature Rise and Fall. The Andaman Islands consist of more than 500 islands in the Bay of Bengal. 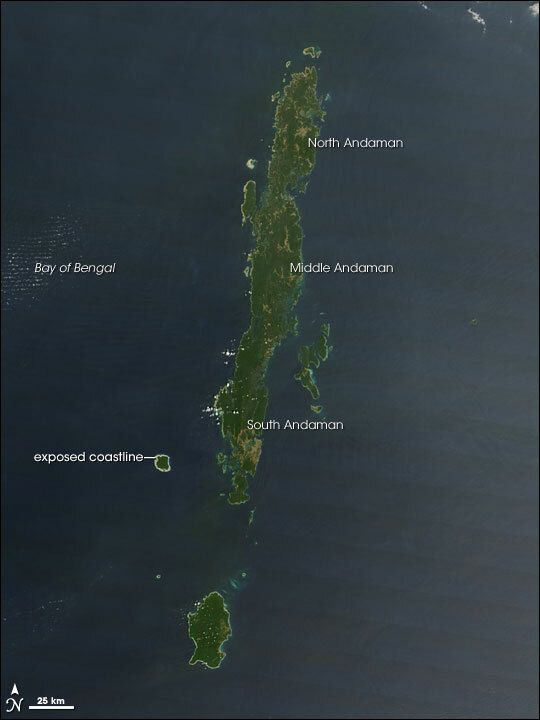 The largest islands comprise Great Andaman, easily seen from space.